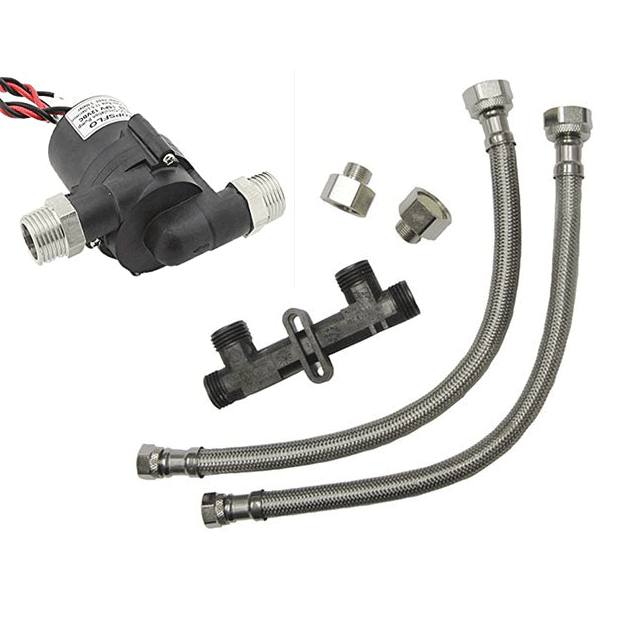 The Sunbank Recirculation Valve and Pump uses the Watts (Grundfos) valve that connects the hot and cold supply lines under the sink in the bathroom furthest from the water heater, allowing for the cold water line to be used as a recirculation line for hot water. This was designed to allow for instant hot water at the tap which can save a lot of water instead of waiting for hot water to arrive at the tap. It can be used with a timer, a motion sensor, or a button to achieve this. 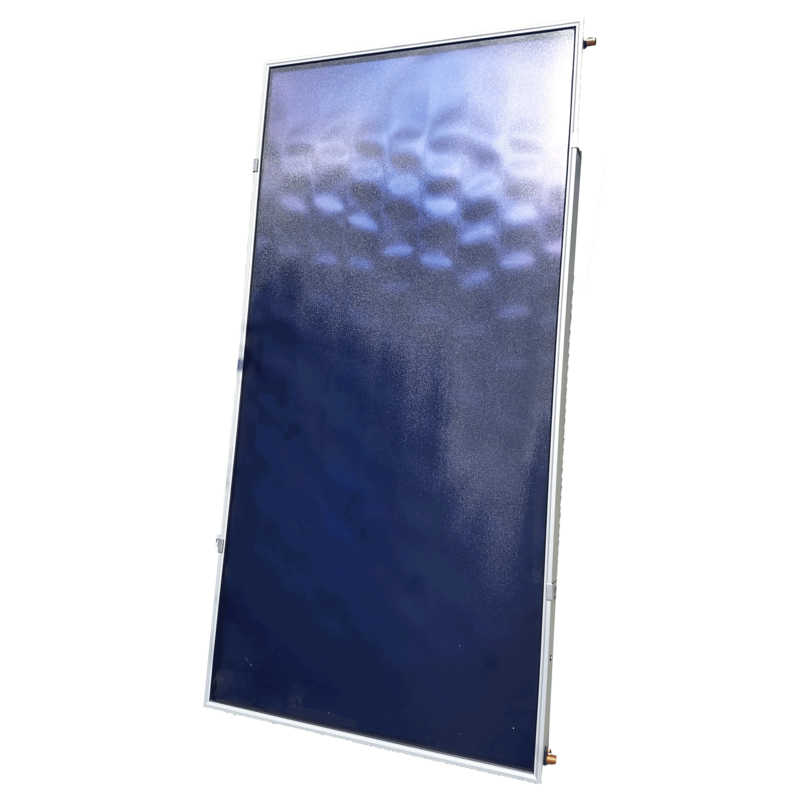 It can also be used as overheat and freeze protection for your Sunbank, when used with the Sunbank Controller. 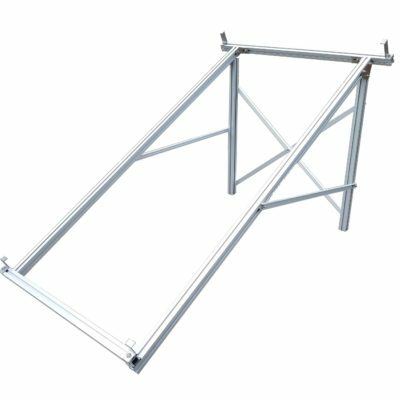 The Sunbank Controller has a overheat protection setting, so that when it senses that the temperature in the Sunbank is approaching 180F it will activate the relay which will turn on the recirculation pump. 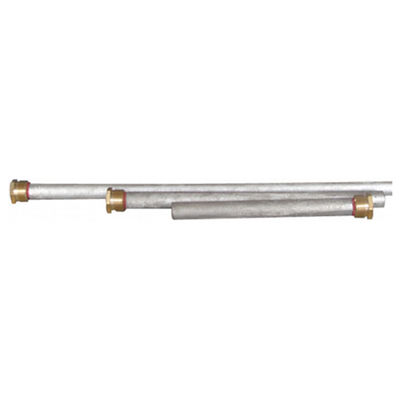 This will circulate the (tempered) hot water through your home’s pipes, essentially using them as a heat dissipator. The Sunbank Controller also has a feature where it can activate this pump at short intervals throughout the night which will keep any pipes from freezing in cold weather. This system works with the T/P valve to protect the system from overheating, protects the piping from freezing, saves water, and saves money. 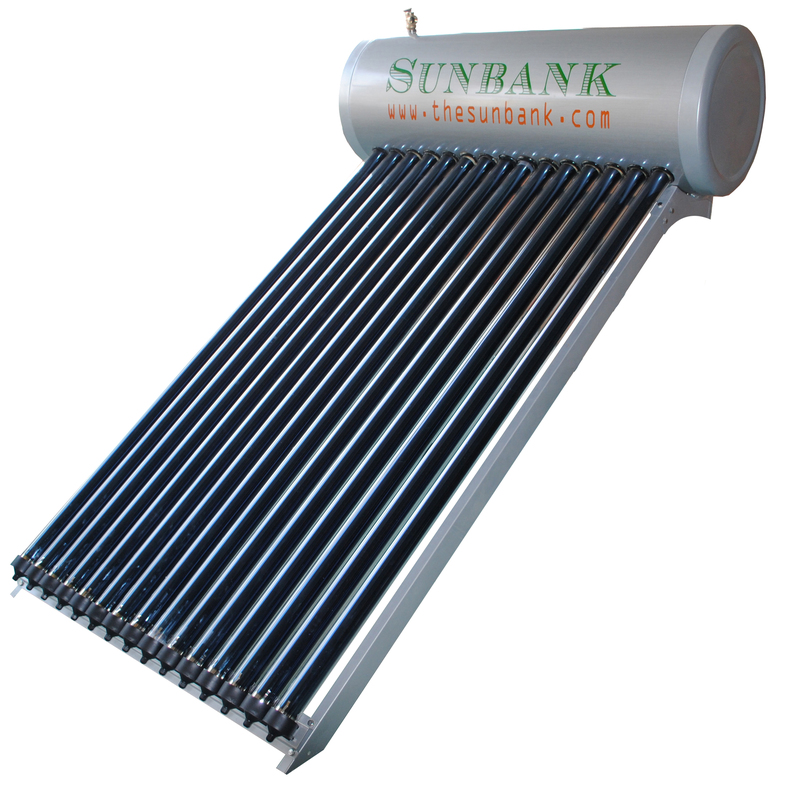 Although it is not necessary for all installations, the Sunbank Recirculation Valve and Pump is a good addition to most installations and like the Sunbank Solar Water Heater, it pays for itself quickly.